Record and organize your creative ideas on a convenient quality art board. 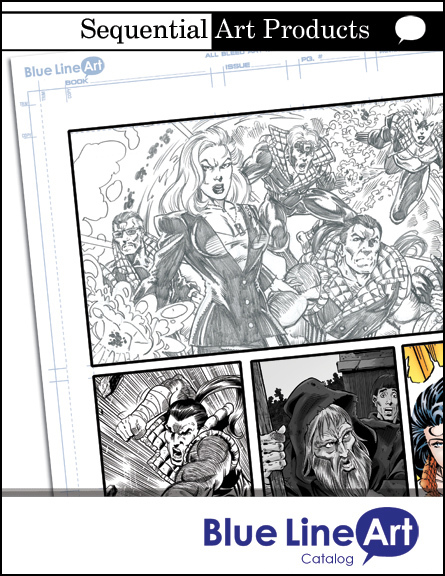 Concept Sketch Pages are made from premium index board featuring non-photo blue ink so that the artist can ink his illustrations on a non-repro surface. 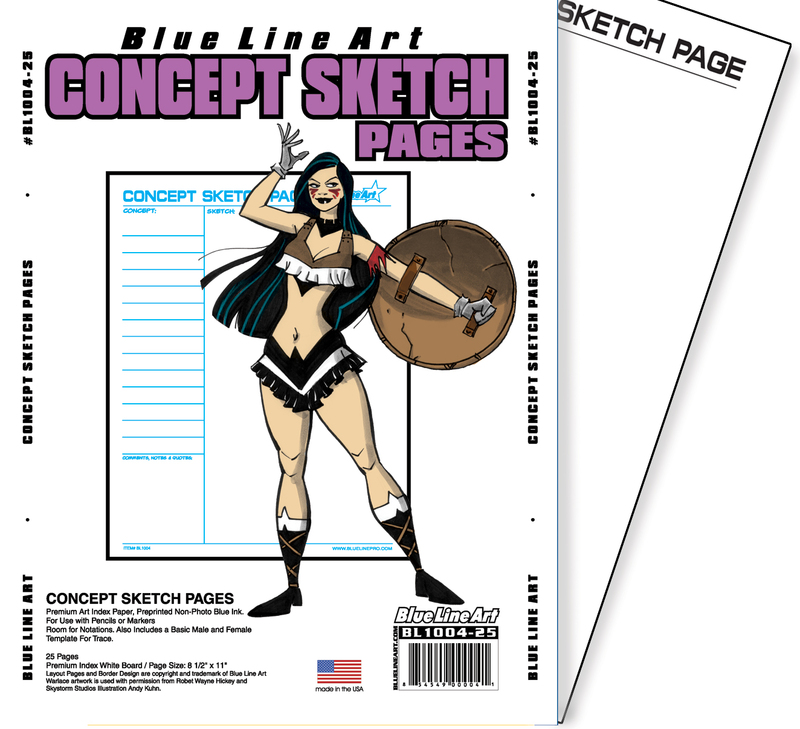 Concept Sketch Pages offer an image area for an illustrator to draw a character scene or anything. And it also gives room for written information to be included with the artwork. This is handy when designing a character for a comic book and you want to include his bio and powers and other aspects or a Role Playing character you’re playing and want to flesh out some. These pages can easily be hole punched and inserted into a binder. A character template is even included for quick and easy character creations! 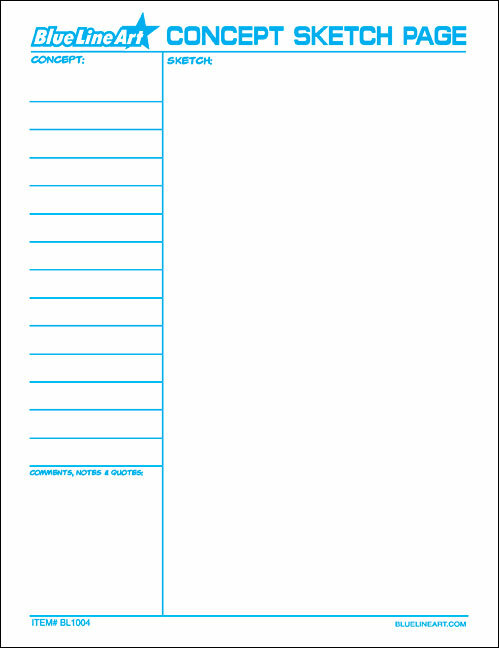 Concept Sketch Pages 8 ½ x 11 / 25 art pages (8 ½ x 11) printed in non-photo blue/bagged.